On Easter Sunday, March 27, 2016, a landslide initiated in an existing rock cut located uphill from a shopping plaza in Altoona, Pa. The landslide created tension cracking along the existing rock cut, and during a period of weeks the tension cracks expanded from inches to feet (mm to meters). Survey readings indicated that portions of the slide were moving at a rate of approximately 2 in/day (5 cm/day). In addition to the shopping plaza, high voltage electric lines and an underground gas line ran along the base of the rock cut, further prioritizing the need to mitigate the failure as quickly as possible. Due to the rate at which the rock mass was sliding and the associated potential danger below, a plan was rapidly implemented to secure the hillside. The plan involved constructing a temporary rock buttress, removing most of the slide mass, securing the bedrock upslope of the tension crack with shear pins, and final reconstruction and grading of the slope. The inherent danger that quickly developed from the slide failure led to intense media coverage, with some positive and negative impacts. 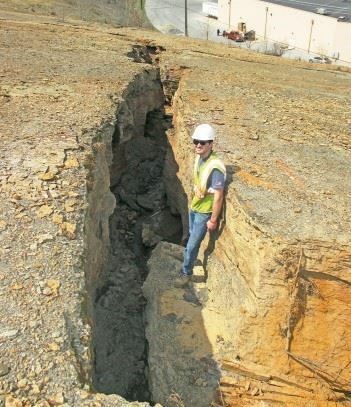 The failure of the slope was first observed when tension cracks were discovered along the top of the rock cut, which was constructed more than a decade before the failure. Once the failure was identified, the site owner quickly began an investigation and contacted The EADS Group for engineering services (slide monitoring and project coordination) and A.G.E.S. for geotechnical design of the slide remediation. The site investigation was performed as quickly as possible, and revealed that bedrock along the cut consisted of sandstone with interbedded shale with a bedding dip of about 16 degrees. The orientation of the dip was downslope along and toward the cut. A drainage ditch was present upslope of the failure scarp, and was intended to divert water from wetlands upslope. It was noted that trees were growing along the drainage ditch. Water flow within the ditch seemed to “disappear” in the region closer to the scarp. It was believed that surface runoff had been flowing into the slide rather than following the path of the constructed drainage ditch. Water could be heard flowing within the tension cracks of the slope failure, and seepage was observed along the slope. In an effort to reduce future movement, the water in the ditch (region of groundwater infiltration) was temporarily diverted by pumping until the ditch and slide could be repaired. On February 26, 2018, the Environmental Water Resource Institute (EWRI) Chapter of ASCE-Pittsburgh hosted a morning seminar on the Impacts of Chlorides on Urban Land and Waterways. The event was hosted at the Engineers Western Society of Pennsylvania in downtown Pittsburgh, PA in partnership with 3 Rivers Wet Weather, Three Rivers Quest, 3 Rivers Proud, Allegheny County Conservation District, American Public Works Association, Allegheny Watershed Alliance, Jacobs Creek Watershed Association, Nine Mile Run Watershed Association, Pittsburgh Water and Sewer Authority, Saw Mill Run Watershed Association, Southwestern Pennsylvania Commission Water Resource Center, and Westmoreland Conservation District. The morning seminar was a series of presentations discussing the impacts of the elevated use of roadway salts in cold weather climate watersheds on surrounding land and waterways, and included perspectives on local, regional and national levels. Presentations and follow-up discussions focused on quantifying salt loading and impacts overtime as well as how to reduce loading by improving winter BMP maintenance. The seminar began with a presentation by Robert Hirsh, a research hydrologist with the US Geological Survey, Washington DC Office. Hirsh’s data from the past few decades indicates that an increase in chloride concentration in streams has outpaced urban growth. His data also demonstrates an increase in chloride concentration in groundwater and lakes. Hirsh further emphasized the need for continuous stream flow data to monitor chloride loading in conjunction with chloride concentration. The second presentation was delivered by Brady Porter of Duquesne University and 3 Rivers QUEST. Porter provided an overview on the seasonal chloride concentrations in the Allegheny, Monongahela and Ohio Rivers. Porter’s group is involved in the periodic sampling of numerous surface water locations along these rivers, as well as continuous monitoring with YSI probes. The impact of chloride toxicity in urbanizing watersheds was discussed on a regional level by James Houle of the University of New Hampshire. Houle discussed data collected from his research group on the performance of various best management practices (BMPs) on reducing chloride loading from salt applications. Because parking lots are a major source of chloride loading, Houle’s research primarily focused on salting of parking lots and the resulting friction resistance of various lot surfaces. Houle’s presentation indicated that salt reduction may be possible with no loss in surface skid resistance using alternative mechanical methods of application. While a majority of the presentations focused on the impacts of chloride, Dan Bain from the University of Pittsburgh provided a different perspective by focusing on sodium impacts. Bain’s presentation highlighted that roadway salt applications cause legacy contamination, because both sodium and chloride alter metal mobility in soils. This discussion on the alteration of soil and water chemistry due to salt provided insight into the long-term effects of the roadway salt applications on the environment. The presentations at the seminar introduced a wide range of data and recommendations for further research from the local, regional and national level on the impacts of roadway salts. Erin Kepple Adams from the Southwestern PA Commission concluded the seminar with a discussion on the importance of improving winter BMP management with training and workshops, which may decrease salt use for deicing of roadways. Adams also provided seminar attendees with a useful resource guide on winter maintenance BMPs. Thanks again to our sponsors of this event, without which this seminar could not have been possible. February 20, 2018 - Working diligently to bring solutions to the region's issue of overflows caused by excess groundwater and stormwater, ALCOSAN's Tim Prevost, manager of Wet Weather Programs, is a champion of making our rivers and streams cleaner and healthier through the authority's Green Revitalization of Our Waterways (GROW) program. Because of his efforts, Prevost has been named the 2017 Civil Engineer of the Year by the Pittsburgh Section of the American Society of Civil Engineers (ASCE). 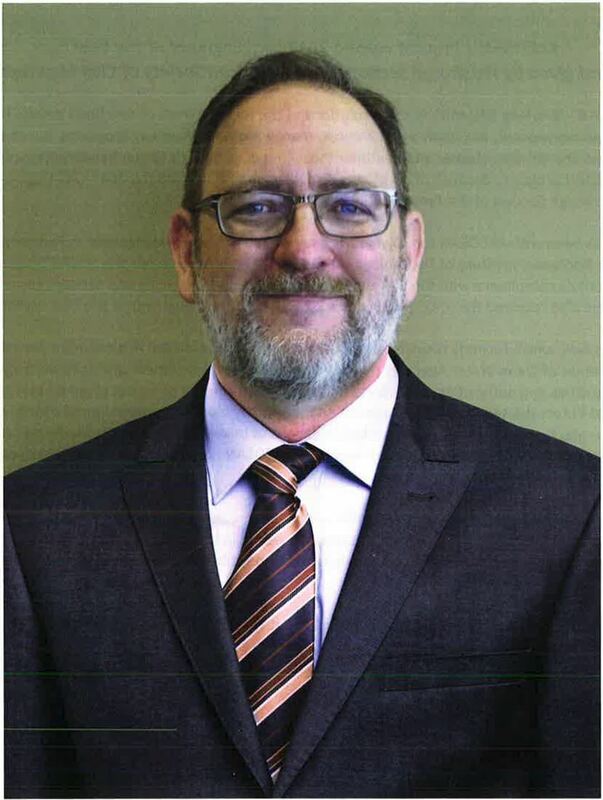 Prevost, who has been with ALCOSAN for 20 years, is a registered professional engineer in Pennsylvania and a graduate of the Rochester Institute of Technology. At ALCOSAN, Prevost oversees the GROW program and leads the Authority's compliance with the EPA's combined sewer overflow (CSO) and sanitary sewer overflow (SSO) policies. He also received the ASCE-Pittsburgh's 2012 Government Engineer of the Year award. 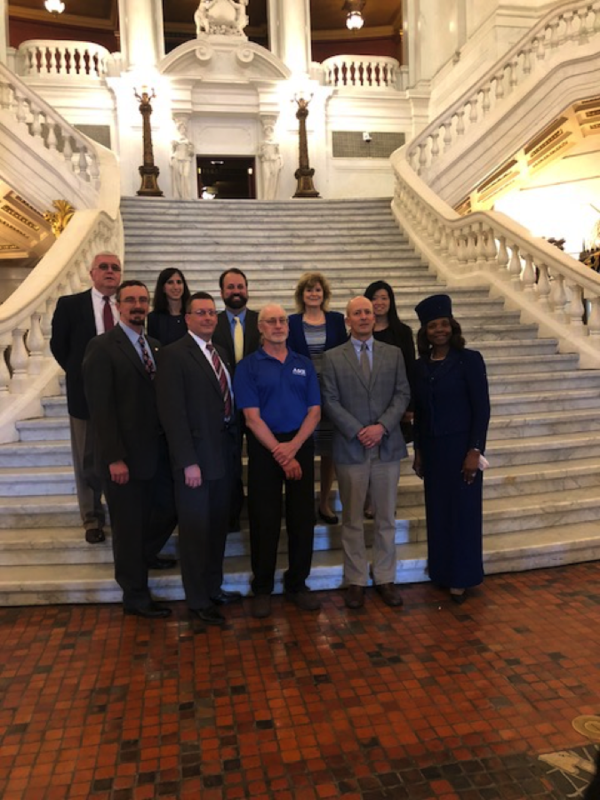 The GROW program, which recently received the 2018 National Environmental Achievement Award by the National Association of Clean Water Agencies (NACWA), provides reimbursement grants to the authority's 83 partner municipalities and authorities for projects that reduce the amount of excess groundwater and stormwater that enters the sewer collection system and ultimately leads to the problem of overflows during wet weather events. Annually, approximately 9 billion gallons of mixed stormwater, groundwater and sewage enter the region's rivers and streams during wet weather. ALCOSAN is under a federal consent decree to reduce these overflows throughout its system. ALCOSAN's Executive Director Arletta Scott Williams applauded the awardee saying, "I have been privileged to watch Tim grow up in the ALCOSAN family. He has never wavered in his enthusiasm and determination for the program, projects and people, consistently assuming more responsibility through a unique combination of creative thinking and technical reasoning." "I am excited and humbled by this award," said Prevost. "But I know this honor wouldn't have happened without our GROW team. I cannot thank them enough, because everyone doing their part and working together to make the GROW program a success is the main reason for this recognition. This award is for all of us." Since inception in 2016, the GROW Program has undergone two funding cycles, providing $18 million in grants for 59 projects that will annually remove nearly 109 million gallons of stormwater and groundwater from the ALCOSAN system. A total of 43 municipalities and 14 city of Pittsburgh neighborhoods have taken part in the GROW program. Cycle Ill of the GROW program will begin later this year. ALCOSAN is the clean water agency for most of Allegheny County, treating wastewater for 83 Allegheny County communities, including the City of Pittsburgh. The authority, which is Green by Mission and Green by Choice, enhances the c:ummu11ily' environment, quality of life and safety by working to protect drinking water, rivers and streams, and making the Pittsburgh region a great place to live, work and play. ALCOSAN's 59-acre treatment plant processes up to 250 million gallons of wastewater daily and is one of the largest such facilities in the Ohio River Valley. Engineers shall conduct themselves in a manner in which all persons are treated with dignity, respect, and fairness. Engineers shall not engage in discrimination or harassment in connection with their professional activities. 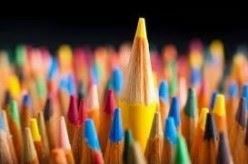 Engineers shall consider the diversity of the community, and shall endeavor in good faith to include diverse perspectives, in the planning and performance of their professional services. ASCE’s Committee on Diversity and Inclusion and the Committee on Ethical Practice began collaborating on the new canon in 2016, seeking to provide a basis for enforcing ASCE’s commitment to diversity and inclusion. The new cannon has been given the nickname the “Diversity” Canon. This addition is the first revision to the ASCE code of ethics since 2006 and is the first addition of a new Canon in over 65 years. 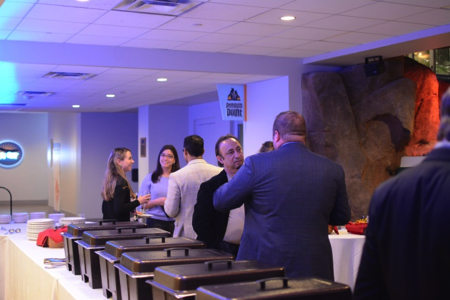 On December 7, 2017 the Younger Member Forum hosted the annual December Dinner. This year the dinner was held at the National Aviary. 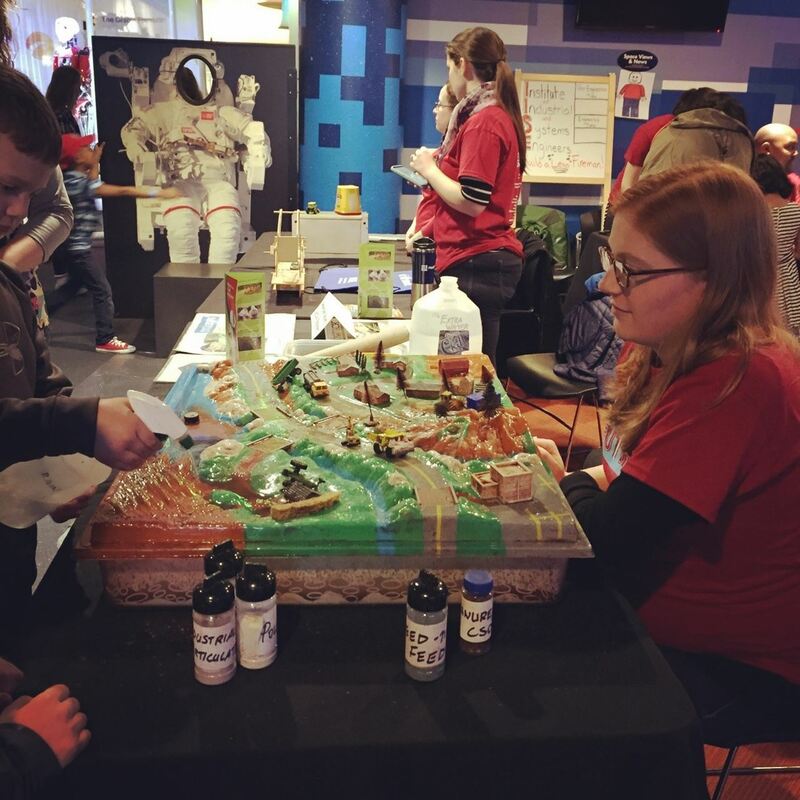 Attendees were able to explore the exhibits, learn about the various birds, and even take a picture with one of the Aviary’s penguins, Disco. The evening also allowed for great networking and discussions during a delicious buffet dinner. 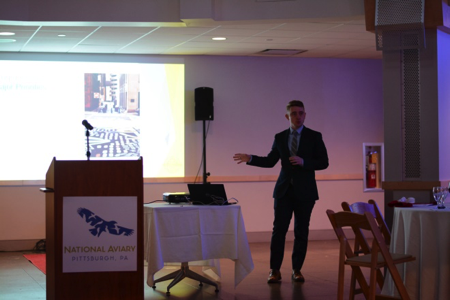 The keynote presentation was given by Sean Luther of Innovate PGH and Jeremy Waldrup of Pittsburgh Downtown Partnership. Mr. Luther, who was formally with the Envision Downtown committee of Downtown Partnership, started out by presenting how Pittsburgh is using Private/ Public Partnerships between local residents, business owners, and the Mayor’s office to create and test projects with the goal of continuing economic growth and improving the overall experience for all within the “golden triangle”. They do this with small scale projects, collecting data and feedback, proposing improvements, implement projects, and collect data on how effective those changes are. Some examples of completed projects are the remake of Strawberry Way and improving the busy Penn and 11th St intersection. Both projects pedestrian traffic safer and more enjoyable in under developed areas. Using local artists and well placed pavement markings, these projects made pedestrian travel ways more clear, safe, and attractive. This also improves motorist’s ability to navigate intersections in Pittsburgh’s notoriously confusing downtown grid. The project at the Smithfield & 6th St. bus stop took the “simple” task of providing more space and amenities to accommodate queued passengers at one of Pittsburgh busiest transit stops. This needed to be accomplished in a complicated roadway footprint of transitioning lane count and on street parking. The project was completed by looking at the street and intersection as a whole, and realigning the pavement marks and roadway widths. This allowed for a wider sidewalk with shelter, all without negatively impacting traffic flow patterns. Such projects move downtown Pittsburgh into the modern age of urbanscapes that are multi-use, safe, and reflect the history and local art of a community. Mr. Waldrup spoke on the projects that are currently in conception and design. “Life on Liberty” is a project under way that is trying to increase the use of Liberty Avenue through identifying short comings of current amenities, encourage foot traffic, and promote local businesses. Broad scope projects include 1) looking at the data on traffic flows through the central downtown area to identify if bus stops are in appropriate locations, 2) identify if the street’s typical sections are fitting for the primary user and vehicle type, 3) finding a sidewalk surface material that is durable and attractive, and 4) trying methods for business owner’s trash disposal that are attractive and safe to the overall city system. 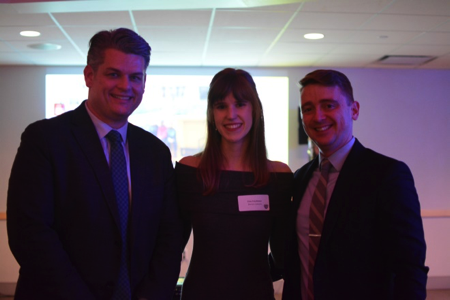 As the new Pittsburgh City Department of Mobility and Infrastructure develops Mr. Waldrup hopes it will use the data and projects Envision Downtown has done to continue the great work done. More about Pittsburgh Downtown Partnership can be found at http://downtownpittsburgh.com. Also consider attending a community feedback meeting if you live or work downtown and are interested in any of the projects of Envision Downtown or the Department of Mobility and Infrastructure. For ages, visitors and longtime residents have asked engineers “Why would someone design things this way?” or “Why can’t someone fix this so it works better?” Whether you are a traffic engineer or water treatment engineer, we all have skills and knowledge that can be useful in these conversations and projects that are taking action to fix and answer these common questions about Downtown Pittsburgh. An event like this is never possible without the support from company sponsors. 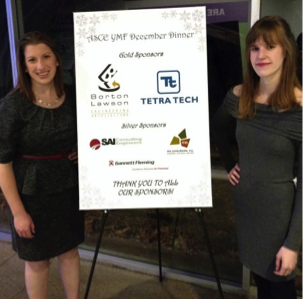 Our Gold Level sponsors this year were Borton-Lawson Engineering and Architecture and Tetra Tech. The Silver Level sponsors were Gannett Fleming, MS Consultants, Inc., and SAI Consulting Engineers. The penguin bird encounter was sponsored by University of Pittsburgh Johnstown Alumni. 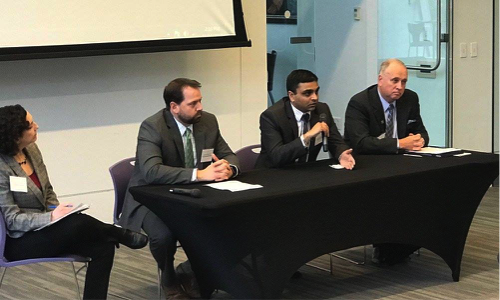 On November 16, 2017, the Environmental Water Resource Institute Chapter (EWRI) of ASCE-Pittsburgh and Sustainable Pittsburgh’s Champions for Sustainability (C4S) came together for the 9th Annual Sustainability Conference. 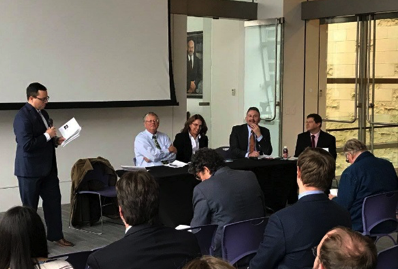 The conference was presented in partnership with the City of Pittsburgh Office of the Mayor and the American Public Works Association - Western Pennsylvania Chapter and included a series of seminars and panel discussions focused on “Engineering a Sustainable Economy”. The theme of the day was how Pittsburgh and other communities across the globe are positioning for greater resiliency through innovation and technology, from sustainable traffic infrastructure to smart stormwater systems. The all-day conference was held at the August Wilson Center, and had a line-up of engineers, public works professionals, sustainability professionals, educators, and policy makers presenting forward-thinking initiatives. In the opening segment, Tom Batroney set the stage with a historical look back at previous years of sustainability, and reminded us all of the ASCE Principles of Sustainable Development in that we have to “do the right project” and “do the project right”. Rather than sprinkle green features on conventional projects, we have to properly engage all stakeholders and have the mindset to address sustainability more holistically. The keynote speakers, John Stanton, President and CEO at the Institute for Sustainable Infrastructure and Rosanna D'Antonio, Deputy Director, Los Angeles County Department of Public Works, discussed the ENVISION Rating System, which was designed to evolve with the changing concept of sustainability, and is driving change throughout the world. John comprehensively described the ENVISION system, stating that it usually is used as a free self-assessment tool and can be a cost-efficient way to guide quality assurance and control on a project level. Cities such as Kansas City and large agencies such as New York City Transit are starting to adopt ENVISION concepts as normal practice. 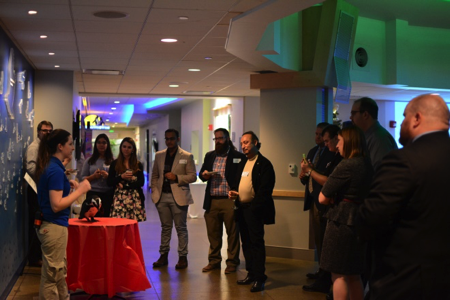 John stated that the Pittsburgh region needed a catalyst to embrace ENVISION as well as leaders that would accept visibility and transparency of their performance to make this a reality. It was noted that the ENVISION system can also be applied to existing infrastructure, and one local opportunity to apply the system could be for a capital bridge replacement program which considers full lifecycle replacement of structures. This may be possible with the right policy partnerships as Allegheny County owns and maintains over 500 bridges. The second panel discussion included Michael Barnard, Project Director with Oxford Development Company, Daniel Bonk, Senior Engineer with Montauk Energy and Dhaval Bhalodia, Director of Asset Optimization with EverPower Wind Holdings. This panel focused on endeavors that local private companies are taking to build resilient cities and healthy, sustainable communities of the future. The future of smart transportation, led by Chris Hendrickson and smart water solutions, led by both Viktor Hlas, Business Team Lead with Opti Stormwater Controls and Megan Zeigler, Green Infrastructure Project Manager with Pittsburgh Water and Sewer Authority, were also topics of discussion. A highlight from the first presentation was that smart spine traffic signals could improve travel efficiency by reducing vehicle bunching and also help address air pollution. As for smart water solutions, smart valve systems could improve green stormwater infrastructure system performance by increasing storage efficiency and reducing costly maintenance of these systems. Students from the University of Pittsburgh and Carnegie Mellon University had the opportunity to display their research posters during breaks. Several posters were displayed ranging in topics from a Systems-level Approach for Integrated Shale Gas Produced Water Management; Sustainable Design of Carbon Nanomaterials: Decoupling the Role of Material Structure and Surface Chemistry on Electrochemical and Biological Activities; and Food-Energy-Water Nexus: Irrigation Impacts of Domestic Food Trade. 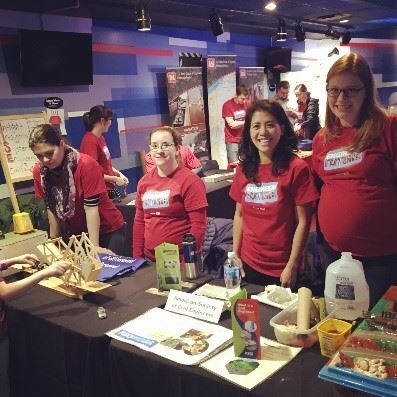 The Sustainability Conference is an annual conference focused on bringing together sustainability experts in science, engineering, and public policy. Click here to find out more about the Sustainability Committee. By Maria C. Jaime, Ph.D., E.I.T., Edited by: Vishal Patel, M.S.C.E., P.E. 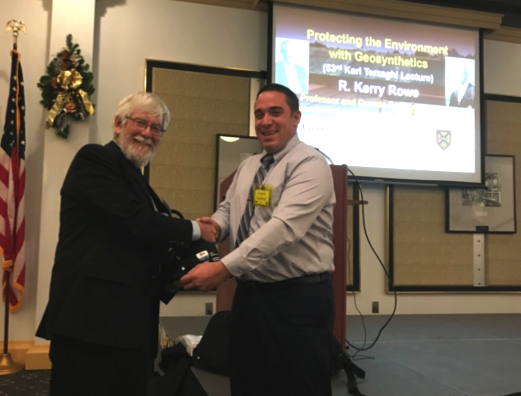 On Thursday, November 30th, 2017, distinguished Professor Kerry Rowe from Queens University in Canada delivered the 2017 Terzaghi Lecture at the Engineers’ Society of Western Pennsylvania (ESWP) club in downtown Pittsburgh, PA. The ASCE Pittsburgh Section Geo-Institute Chapter had the honor to host Dr. Rowe and more than 40 ASCE members and non-members who gathered to enjoy this dinner meeting and lecture at the outstanding ESWP venue. Drawing together results from extensive research such as field observations, long-term experimental data, and theory, the prestigious lecture highlighted the importance of carefully considering the implications of design and construction decisions in ensuring long-term performance of geosynthetic liner systems for environmental protection in landfill barriers. It explored well-understood concepts and examined common misconceptions and consequences. 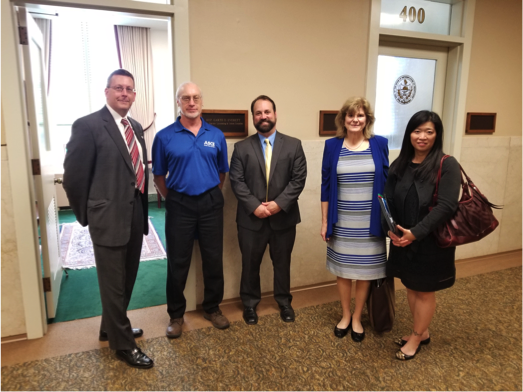 It emphasized the importance of the geosynthetic material selection, accounting for the interactions between different geosynthetics and other barrier system components. It demonstrated that the obvious is not always expected. Dr. Rowe is a pioneer in the field of geosynthetics and has made immeasurable contributions to the development of new technologies and methods to prevent the contamination of water sources by mining and landfill activity. He is the author of over 350 peer-reviewed journal papers, 3 books, 15 book chapters, and more than 330 full conference papers. Additionally, he has been recognized by numerous awards including the Giroud Lecture (2002), Rankine Lecture (2005), Manuel Rocha Lecture (2006), Casagrande Lecture (2011), the Ferroco-Terzaghi Oration (2012), and the ASCE Karl Terzaghi Lecture (2017). The International Society for Soil Mechanics and Geotechnical Engineering has created the ISSMGE R. Kerry Rowe Lecture. He has been elected a Fellow of the world’s oldest and most prestigious scientific society, the Royal Society (of London, UK) as well as been elected a foreign Member of the U.S. National Academy of Engineering and Fellow of the UK Royal Academy of Engineering. He is also a member of the Royal Society of Canada, the Canadian Academy of Engineering and Professional Societies in Australia, Canada, and USA. He is a past president of the International Geosynthetics Society, the Canadian Geotechnical Society and the Engineering Institute of Canada. At the conclusion of the presentation, Greg Rumbaugh (ASCE G-I Chair) presented Dr. Rowe with a gift of a Pittsburgh Geo-Institute polo shirt (as seen in the photograph).